If you want to improve your off page SEO then you must need to share your blog post on different different social media sites. Google plus is one of the best social media site. 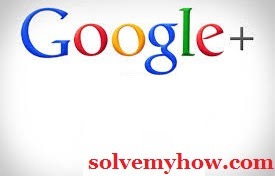 You must use it, to increase page views and traffic on your site. You can share your blog post in G+ in the same way like you are doing in Facebook but google plus also has one awesome feature called google plus communities. If you share any post in your G+ profile then it is obviously visible to very limited people. But in communities the scenario is very different. In G+ communities there are thousands or millions of people are there. So, your post will get more visibility and ultimately you will be able to get more traffic on your blog. More over communities are the best way to get solution of any problem very quickly. In communities you can communicate with the people though they are not in your friend circle list. Communities can be of anything like Gaming, blogging, SEO, YouTube etc. You can check all Google plus communities and join any 10-20 of your interest/niche. Google plus have 540 million active users and 100,000+ communities. For example :- You have joined 10 communities on G+ and started sharing your articles on all of them. Then it will also be visible on your G+ profile. Try it out. Some people feel this annoying and I'm one of them because our profile looks spammy. Just imagine our profile is showing same post 10-11 times. So, obviously this doesn't looks good. So, google also understood this problem and came with a very nice update to hide G+ community post from G+ profile. We will see this in step by step process. This process is really very simple. You just have to follow simple 4 steps mentioned below. Step 1 :- Go to settings. Step 2 :- Find "profile" option. From bottom, it is second last option. Step 3 :- unchecked the option. By default the visibility to show G+ community post on your profile is "checked". Now you just have to unchecked it. Look at the snap shot below. Step 4 :- That's it you're done. Now your Google+ community post won't be visible in your Google+ profile. Note : If you have created G+ page and wanted to hide the community post from G+ page profile also. Then you can do the same thing as we did above. So, this was all about how to hide google plus community post from your google plus profile. Hope you found this article informative and you've successfully hidden the community post. You can connect with me on Google+. What do you generally prefer "the community post hidden or not". Please do let me know in the comments below. Found this article interesting. Then, why not help us by sharing this article with your social media friends. Please don't forget to shoot social media buttons below.